I never ever even thought of building one of these. Until a chap from the UK sent me some plans for one. There are only a few parts so I thought I would build one in my spare time. 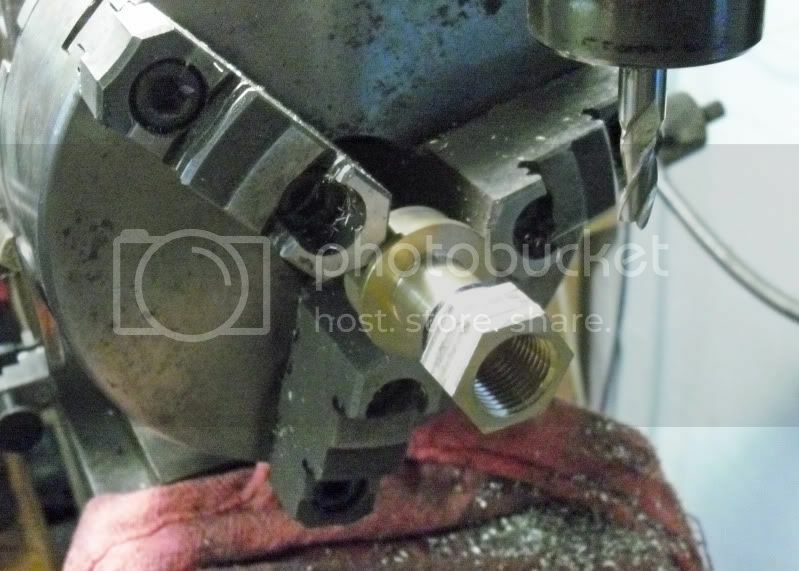 Friday after work I cut out the lever, that opens the valve, on the CNC mill. The original plans were quarter scale. I'm doubling everything for a half scale version. It's still pretty small. It looks like a fairly straight forward project. 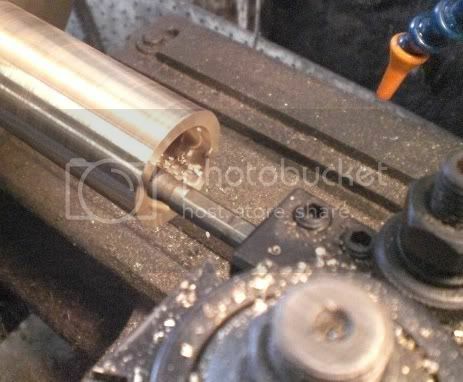 Compromising of mainly lathe work there are only a couple pieces that require a mill. 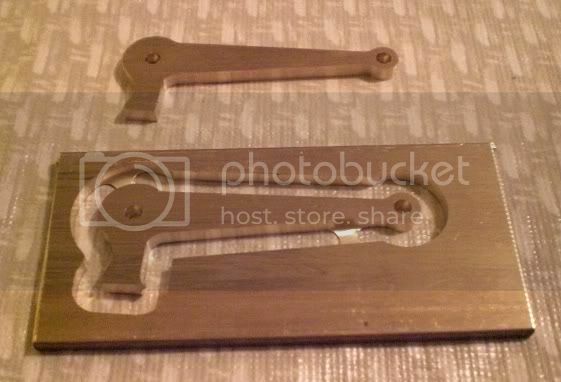 Here is the lever that I made. Managed to squeze a bit of work on this in today. I started on the valve body. This is the bottom end. 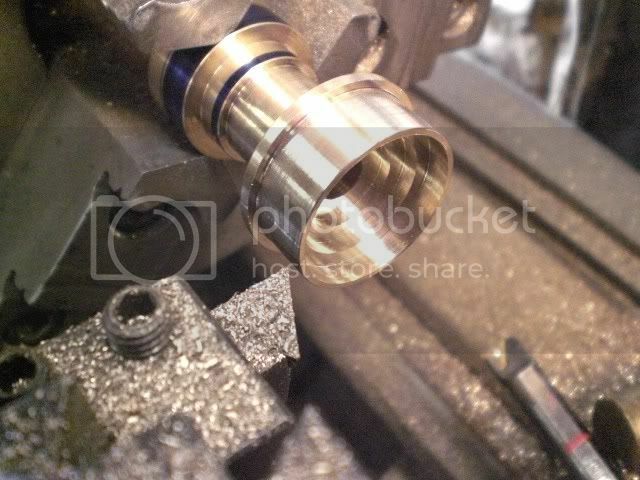 It will have a 1" hex machined on the end of it. 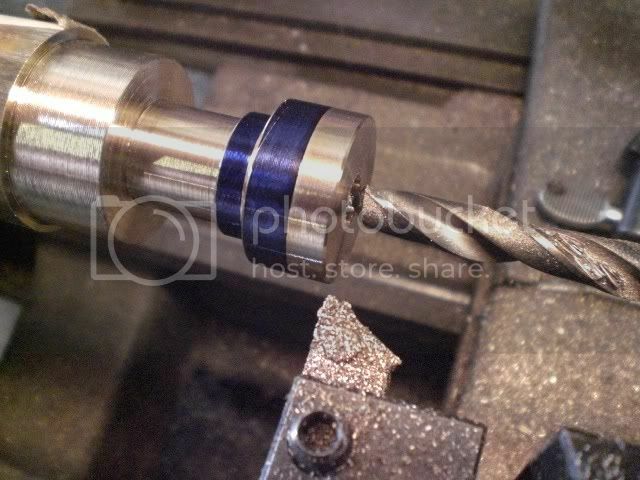 I have to drill and tap the end for a 1/2" pipe thread. I like to do that first, While I still have something substantial to hold onto. There are several examples on you tube here is one. What are you going to power it with? Just kidding :o) I have air at home. I would like to make a boiler though. I bored the end for a 1/2" pipe tap and tapped it. Notice the marks on the tap so I can gauge when I'm getting close to the bottom. After I finished taping the piece, I cut the part off the shaft with my bandsaw. I chucked it back up and faced it to length and bored the different steps that were required. I then started on the body of the siren. 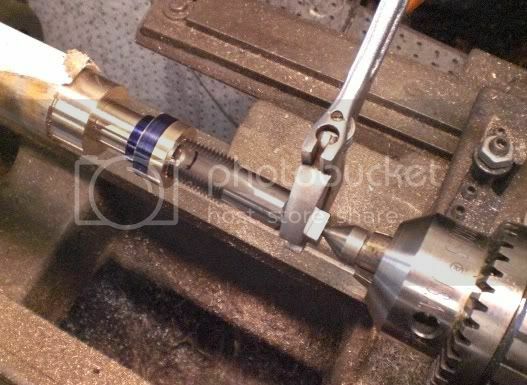 It is a tube that is bored on one end to get silver soldered to the valve and the other end is threaded, so the rotor can be removed for cleaning. Had a small Snafo this weekend and needed something to do. I saw my Siren parts lying there and decided I needed to revive this thread\o/ It was a pretty lazy day today but I needed to accomplish something. I cut the hex into the bottom of the siren this will allow it to be tightened onto a steam/air pipe. Very good Wes! I want to see this one finished! Yea, Me too. I vowed not to tart any more projects till I finished three that were ongoing. Unless they pertained to something that I was building. Things are kind of slow so I was reading some of the old posts. This one sounded interesting. Just wondering if you ever made any more progress on it? Looking good so far - where did you get the plans? I have been keeping my eye out but not really looking, but would love to make a third scale one to go on a traction engine. I'll second the request for the drawings. I am ready to machine a whistle or siren for my own TE. I'll post the build pics if anyone can supply the plans.